As you probably know from following me on this blog, I started learning a spoken dialect of Arabic about 12 years ago. 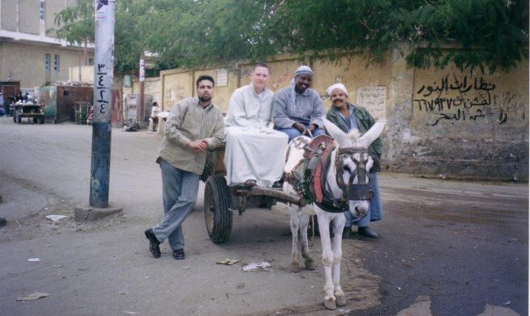 At that time there were no decent, reliable resources available for learning it at all which meant that it was a constant uphill battle for me learning Arabic. What’s hard to believe is that even today – 12 years on – things have hardly improved. Most resources are geared toward teaching you Modern Standard Arabic, a literary language that no person anywhere on earth speaks as a first, native language. It’s a bit like walking into the Spanish section of a bookstore to buy resources and finding that most of the books are for Latin! It just doesn’t make any sense and it creates another barrier between learners and ordinary people in the Arab world. On top of this, a lot of the stuff that does exist for spoken dialects is not very good at all. I believe this lack of decent resources for spoken Arabic today is the main reason why a lot of people don’t bother or give up early. It’s a problem that really needs addressing. So over the years I came up with the idea to work together with some Arab friends of mine here in the Middle East and North Africa to put together something that’s really unique and that responds to this problem in a very simple way! And it’s something I’m sure you’re going to love. TalkInArabic.com is a resource for all spoken dialects of Arabic (or at least most of them) which is full of natural, relevant, high quality audio and video, transcripts and subtitles, and new content guaranteed every week. It’s what people ask for more than anything else when it comes to Arabic dialects. I’m meeting with native Arabic speakers here in the Middle East every day in fact to gather more and more material that addresses the needs and requests of learners like yourself. The site already has tonnes of recordings and transcripts on it in various dialects, and there are literally thousands more (as well as videos) being edited and gradually uploaded to the site each week. As you can imagine, it’s a massively ambitious and time consuming project but totally worth it! So what kind of content is it and how can I use it? First of all there are straight-to-the-point answers to ‘How do I say…’ questions with sample sentences to show you exactly how it’s said by native speakers (e.g. ‘How to say ‘as soon as’ something in Levantine Arabic’). No dry textbook grammar explanations. Just simply and clearly demonstrating how they’re actually used by real people. Speak exactly as you would speak to your friends and family. Not how the textbooks say you speak but how you actually speak to each other. Very often with colloquial dialects the translations aren’t literal and people will often use their own colorful ways of saying things (including slang and local expressions). We learn languages naturally and best by lots of high-repetition (listening and repeating) of small pieces of natural language. In other words taking a single phrase or sentence and using it repeatedly until it becomes habit rather than trying to work backwards from a rule you read in a book. You listen to the phrase over and over, you repeat it over and over, and it sticks. Now although this is the approach I would take personally, I want to make it clear that this content is going to useful to you no matter which approach you prefer to take. 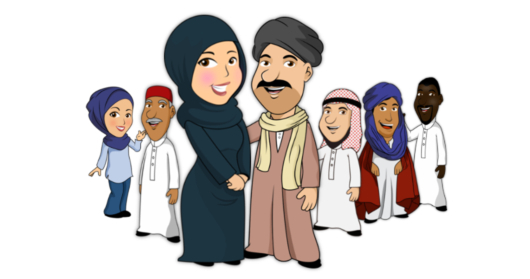 TalkinArabic.com is about providing you with fresh, quality content – not a limited learning style that might not suit your tastes. The other thing you’ll find is higher level listening material (we’re in the process of uploading more of this at the moment). These are in the form of both publicly available audio recordings and video content (of course with transcripts and subtitles). Most of the site’s content is (and will always be) publicly accessible which means it’s free to listen to by anyone, anytime but there is a membership option as well (which lets you download the transcripts, access better audio lessons and watch videos for example). This helps me to employ part time native Arabic speakers to continue improving and building on the content to make it even more useful for you. I’ve recently posted a list of current updates that are being made to TalkInArabic.com thanks to the feedback that early users have been giving so you can see the improvements that we’re working on now. There’s still tonnes of work to be done through adding more content for all levels and improving the overall design and functionality. The response from our members who have joined so far has been overwhelmingly positive and encouraging – we know we’re on the right track with TalkInArabic.com based on the feedback people have given. You’ll find more information on the site if you click here or visit the FAQ. Or join now by clicking here. UPDATE: Read this recent learner review of Talk In Arabic. If you know anyone who’s learning Arabic then help us out by sharing this post with them. I have to admit that Arabic has never been on my list because of the difficulty of choosing a dialect. I think this sounds like a great resource! Kudos! reminds me of a similar project: Langmedia. This website actually has quite a bit of content from different arabic speaking countries. It also comes with transcripts and it's all free! The audio quality leaves a lot to be desired but it's a gold mine. It's all natural stuff too. Just people talking about their lives and topics like music in their country and what not. I have no idea what direction you want to take talkinarabic.com but if it's anything like this it's gonna be successful. Good Luck! Hopefully I'll subscribe before the end of the week if I still got money (lol). Hi,I know that you have been to Egypt ,But It’s a great surprise that you were in my governorate (Beni-Suef) .The writings on the wall behind is an advertisement and it mentions a city in my governorate called Al-Fashn الفشن 🙂 .The lucky men in the photo met you . Yes, I lived in Al-Fashn 🙂 I have many friends there. Nice blog! I am currently in Morocco and their Arabic (Darija) dialect is totally not comprehensible.